God has truly done some amazing things through the ministry of Horizon Christian Fellowship. To look back at the calling Pastor Mike had over 40 years ago to come to San Diego and to start a small home group of 10 people and to see what God has done is absolutely amazing. People have been won all over the world, discipled all over the world, and sent all over the world. The Bible has always been the focus and the leading of the Holy Spirit has been the emphasis. God is now calling us to a new season of ministry and has been raising up the next generation to walk in what He has planned for the future. On Sunday, January 4th, 2015, Pastor Mike MacIntosh announced that his son, Pastor Phillip MacIntosh, will be transitioning into the lead Pastor role at Horizon Christian Fellowship. Pastor Mike is not retiring and will continue to be used in various ways at Horizon— focusing on Evangelism and pouring into the church worldwide. Pastor Phillip has had the amazing opportunity to grow under and serve alongside his dad. From the age of nine he accompanied his dad on trips around the world and was able to see the power of the gospel at work. Phillip has been on the Pastoral Team at Horizon for the past 16 years and has a deep love & passion for the teaching of the word of God and has a strong calling and vision from the Lord for the future. Pastor Phillip and the board of Horizon have a plan in place to help bless and honor his father for his many years of faithfulness. They will continue to support him financially for a determined amount of time and look forward to the opportunity of being able to send Pastor Mike out to help equip the church and further the Kingdom. We are so thankful for all that God has done and are excited for the new work He is going to do! Pastor Phillip has a strong desire to get us back to the roots of the vision God gave Pastor Mike for Horizon 40 years ago to WIN people to Jesus Christ, DISCIPLE people in Jesus Christ, and to SEND people for Jesus Christ. There will naturally be changes! The plan was never to raise someone up to be Pastor Mike (only Pastor Mike can be Pastor Mike), so the goal isn’t for Phillip to fill Pastor Mike’s shoes. God has them both to be who they are and has gifted them individually. The Word will continue to be our focus and what we teach and live by. Pastor Phillip has a strong conviction that Jesus Christ is the head of the church and ultimately the senior Pastor, we want to serve His church how He would desire it to be. Service format may change, but the fundementals will remain. You will see a more active role of our Pastoral Team in teaching, leading, and decision-making in our church. Strong emphasis on Discipleship and Community. Focusing in on getting our church healthy, equipped, and prepared for what God has for us. Regular times of church family meetings where we come together and share how the Lord has been working, what He is calling us to, and an opportunity to ask & answer questions. Yearly Budget & Calendar that will be prayed over and structured in accordance with our vision of WIN, DISCIPLE, SEND.  Our desire would be for you to be able to look online and see what we are doing through the year to accomplish our Vision and also to be able to see a general graph of what percentage of our budget is going toward Winning, Discipling, and Sending. Stronger connection between our Main Services, Children, Youth, and Young Adults. We want to see the families of our church strengthened and better equipped.